It looks like gin. It smells like gin. It even – almost – tastes like gin. Stephen Lawrence says it was a bit of a challenge to develop Brunswick Aces without the help of sugar or alcohol. The idea for the very gin-like spirit alternative came about as a result of Lawrence’s friendship with his neighbour, Doug Cook. Cook is a marathon runner and cautious of his alcohol intake. Lawrence had made gin before, but wanted to try a non-alcoholic version – one that still had sweetness and body. "[Doug] couldn’t experience those delicate flavours," Lawrence says. "He could get plenty of dull sugar profiles in fruit juices or soft drinks, but the delicate, interesting flavours are harder to find." Together with Cook and four other neighbours, Lawrence got to work developing the product, following a very similar method to the original but with high-grade purified water in place of alcohol, and botanicals such as green cardamom, parsley, star anise and coriander. 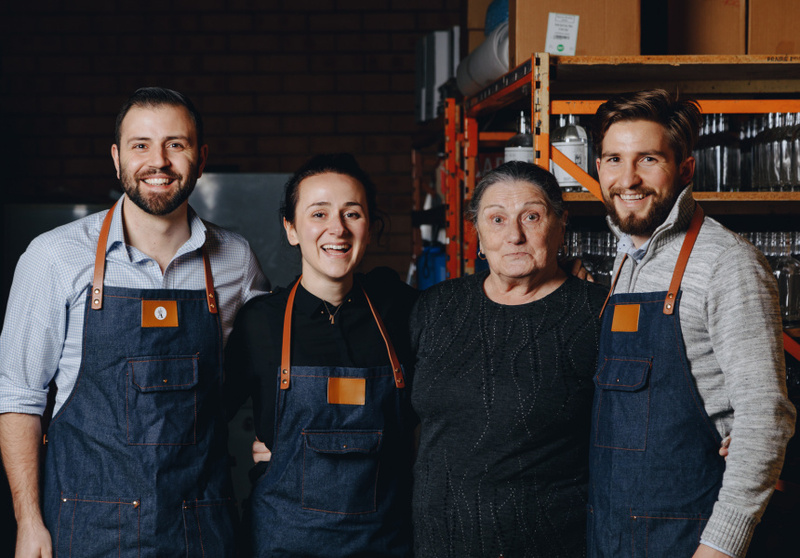 "The manufacturing inspiration we take is from traditional gin production, it’s just more difficult to extract without alcohol as that’s a better solvent," Lawrence says. "We have to individually distil each botanical flavour then blend them up at the end, as each botanical requires different processes to release the aromatic elements that we’re trying to extract." Lawrence, who is also an engineer, purpose-built a modified gin still to develop the drink, which gives it the “really exquisite, delicate flavours that you can only really extract through distillation”. As new flavours are developed, Lawrence custom makes new equipment to best extract each one. 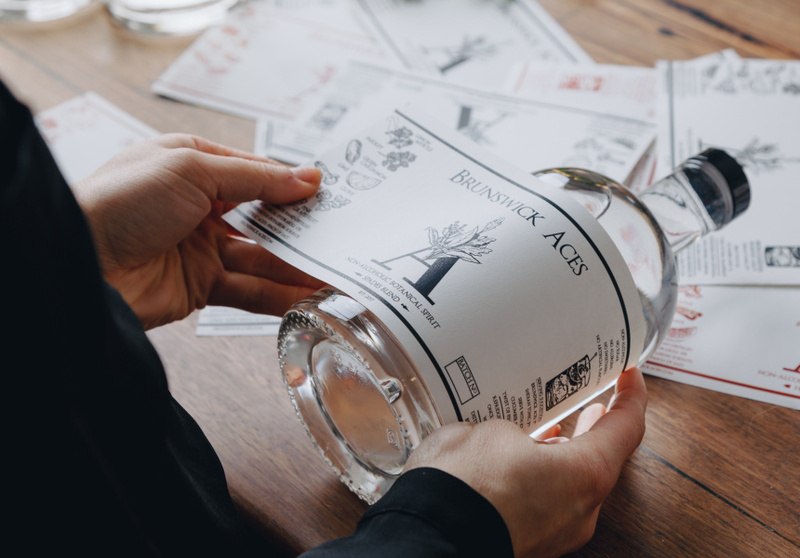 He hesitates to call Brunswick Aces gin though, preferring to say it is “inspired by” gin. 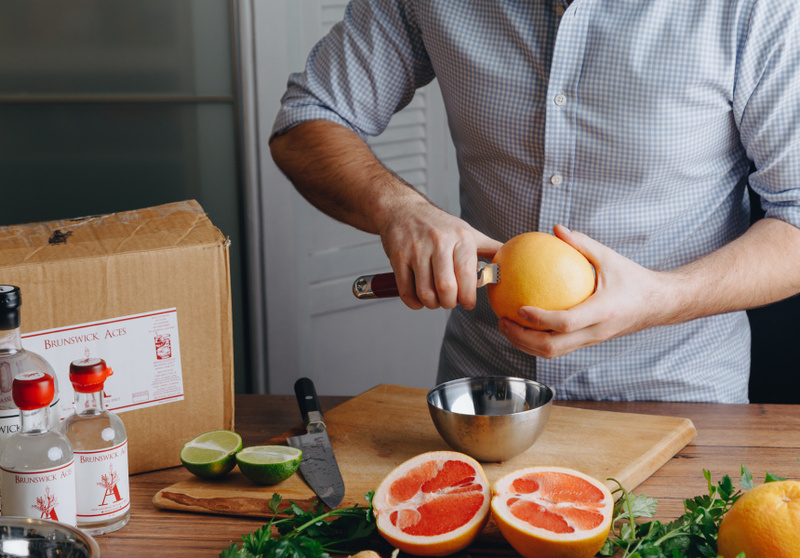 A 700ml bottle will set you back $50, and for drinkers who aren’t strictly teetotal, Lawrence suggests pairing it with regular gin to create a lower alcohol Negroni or gin and tonic. The drink is available in two varieties, named after suits in a deck of cards. Spades is “earthy with a fresh green flavour”, and Hearts, which started out as a Christmas special, leads with cinnamon on the nose and delicate lime and coriander underneath.